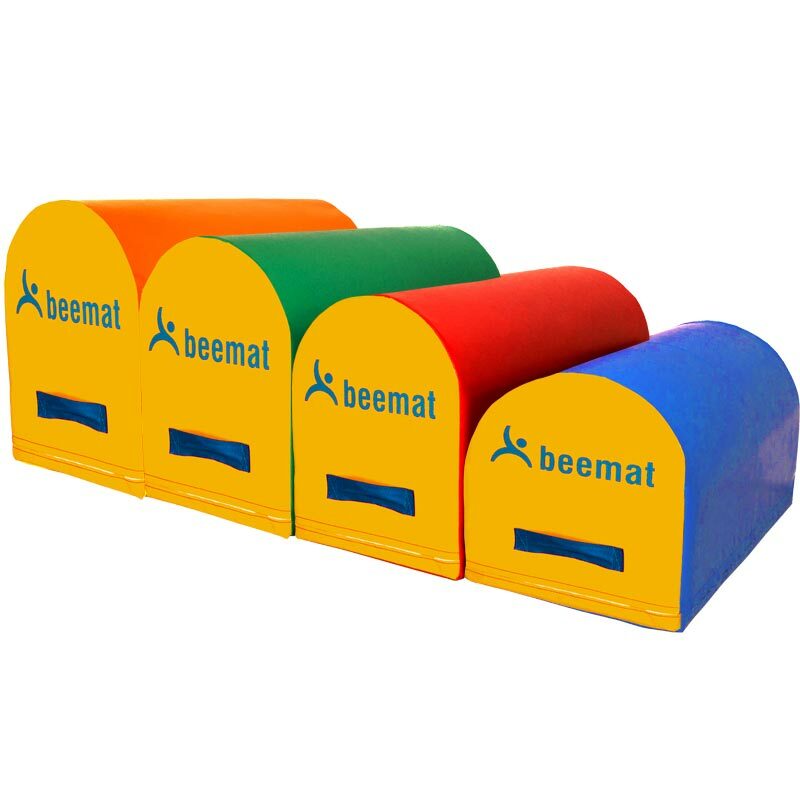 The Beemat ® Mailbox Gymnastic Training Blocks Full Set are an affordable gymnastic training aid for teaching dive rolls, handsprings and backflips. 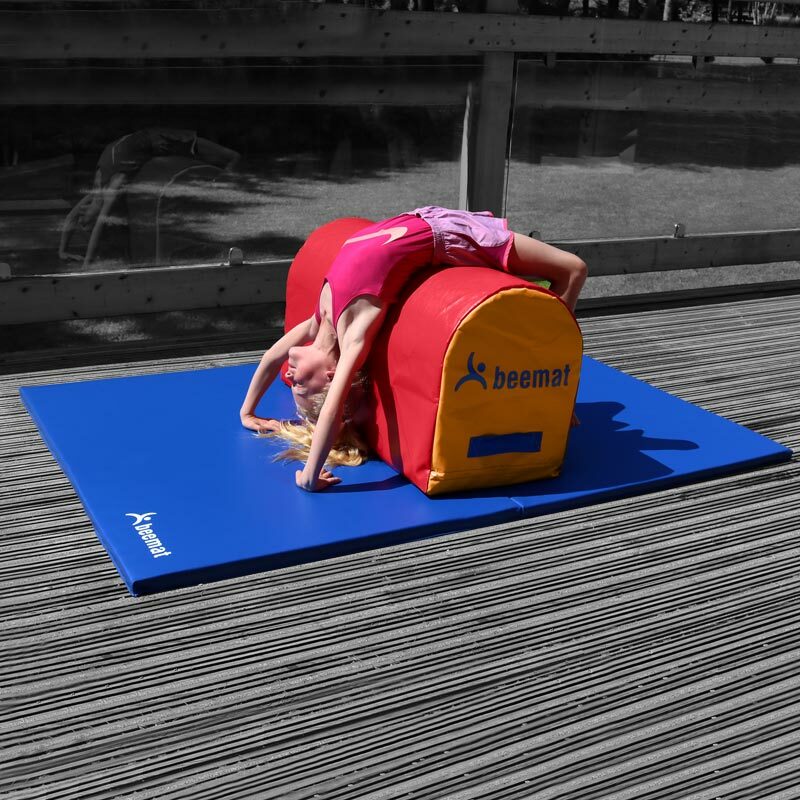 Sturdy enough for children to push off whilst also soft enough not to cause injury if collided into. Mini - 0.4m x 0.4m x 75cm - Blue/Yellow - 1'4" x 1'4" x 2'6". Large - 0.67m x 0.5m x 90cm - Orange/Yellow - 2'2" x 1'8" x 2'11".